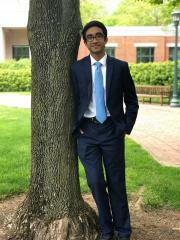 Akash Bhat is a second year at UVA, joining VaMT after debating in high school. When not mocking, he listens to way too much hip hop and occasionally gets educated in classes. He also spends most of his time getting roasted by his teammates, coaches, friends, or [enter any other individual's name here] for no apparent reason.